It’s not hard to hear advice, especially on the internet. As with many things, the problem is sifting through white noise and fluff to get to some of the good stuff. How does an IT pro get reliable, accurate, practical advice concerning improvement in their career and work? Enjoy May the 4th, Star Wars Fans! Check out some fun links to help get you in the spirit of May the 4th. Have You Signed Up For NY Tech Summit Yet? Are you an IT professional or an executive that is involved with business driven technology? Do you work in Syracuse, Rochester, Buffalo, Binghamton, or Albany? Better yet... do live anywhere modern modes of travel are possible? You should really consider signing up for the 10th Annual NY Tech Summit. It takes place June 19th and 20th at Turning Stone Resprt and Casino. Over the past couple of years, we have been doing technology road shows for IT professionals. It's a simple concept. We go to cities across America and host an event day with some insightful IT education sessions followed by networking and fun. Happy Earth Day, everyone! This special day is upon us once again and it’s time for everyone to stop and consider what we’re doing to ensure our business and personal practices are beneficial for the environment. ISO Certified. What Does That Mean For Customers? Wondering what the heck ISO is and what that means for our customers? Let’s break it down! Avaya phones offer a multitude of options for every business user. IP or digital desktop phones, conference phones, wireless phones - your Avaya phone choices are unlimited. We have another option to consider when thinking about Avaya phones: what about pre-owned? CABLExpress, our data center cabling and hardware manufacturing division, recently published a white paper detailing exactly how we can make that happen using port replication. If you are in IT or familiar with the network hardware game, you know the name HP ProCurve. Organizations and ProCurve users have been sticking with HP ProCurve switches for a long time. It’s no wonder why. The day is upon us. Support for Microsoft XP will be ending. There are a lot of people yanking their hair out because of this end of support. Organizations invest in technology. It could be hardware. Or it could be software like Windows XP. These investments are vital. These organizations rely on this technology to get the job done and achieve goals. Sometimes an overlooked area of spring cleaning is technology. However, it's a really good area to focus on. Technology is such a part of our lives now that it's important we don't let it get out of hand. If it does get out of hand we risk letting our technology control us. And we don't want to become tools of our tools, do we? If you are looking for a great IT training and networking opportunity this June you should go to the 10th annual NY Tech Summit. Since our team didn’t make it this year (don’t worry, we’ll be back next year! ), we had some time to think about what exactly it is that we do to help our customers achieve their technology goals. We came up with our own Final Four most essential solutions that we offer. No one can argue that going with SMARTnet isn’t a smart choice – see what we did there? But it’s just as smart to consider alternatives to SMARTnet. 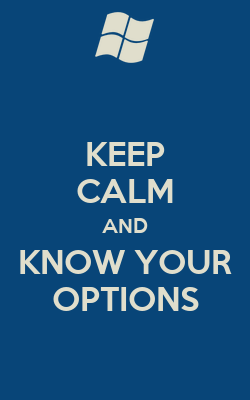 It's smart to keep your options open in case other solutions make more business sense for your organization. If you’re moving, or considering a move, to a VoIP phone system, or you just need more VoIP phones, then you know the benefits such a migration could have for your organization. You’ll also have several challenges as well. However, if you keep the option of acquiring used VoIP phones open, you could alleviate some of the issues that come with implementing a VoIP system. This past week, the CXtec team spent some time in sunny Orlando at Enterprise Connect, the leading enterprise communications and collaboration conference for IT professionals. While we felt bad (a tiny bit) for the rest of our team who stayed behind in the snowy Syracuse weather, we had a great time at the conference and meeting all of you who stopped by our booth. For whatever the reason may be, IT pros love bacon. The two go hand in hand, kind of like peanut butter and jelly, or CXtec equal2new equipment and the CABLExpress Skinny-Trunk Solution. We stumbled upon a glorious iPhone app, "Wake Up and Smell the Bacon," created by Oscar Mayer, and wanted to share with all you fellow bacon lovers. Happy Saint Patrick's Day to all. On Saint Patrick's Day people get filled with the spirit of the Irish. In the spirit of this fine day, we'd like to share a wee bit of Irish wisdom with our friends in the world of information technology. You are a healthcare organization. You are not an ISP. So, there's a chance that your facility's cabling environment is feeling small, crowded, or cramped. So, a space saving cable solution can be your best friend.